This week,Time magazine released the 2014 Time 100, their yearly list of the 100 most influential people in the world. Included on the list were fairly predictable names such as Hillary Clinton, Pope Francis, Edward Snowden, Angela Merkel, and Barack Obama. Celebrities such as Matthew McConaughey, Carrie Underwood, Miley Cyrus, and Benedict Cumberbatch made the cut as well. Even Fox News’ Megyn Kelly made the list. There was, however, one notable omission: Laverne Cox. Cox, transgender advocate, public speaker, and star in the massively successful Netflix original series Orange is the New Black, temporarily topped the Time 100 Reader Poll, jumping ahead of pop star Justin Bieber, after she promoted the poll on social media. In a poll, 92 percent of readers argued that she belonged on the list, and Time’s website took note. Despite this, she was nowhere to be found when the list was unveiled. Twitter took note soon after, sparking the hashtag #WhereIsLaverneCox, which trended on Twitter Thursday night. Many in the hashtag accused Time of both racism and transphobia for what they perceived as a deliberate choice to overrule the will of those who had voted for Laverne Cox, a transgender woman of color. Though the final TIME 100 list of the most influential people of the year worldwide is ultimately chosen by the editors, TIME seeks the input of readers in an online poll. In spite of that input, Time asserted their editorial right to exclude Cox in their selection, for whatever reason. It is altogether reasonable to ask why someone who was the first transgender woman of color to star in a mainstream scripted television show, who has been influential and inspirational in the lives of millions of transgender individuals’ lives, who has carved out a space for trans women and trans women of color in entertainment, and who has been a tireless advocate for LGBT rights would be deemed less influential than Miley Cyrus or Benedict Cumberbatch. If that doesn’t count as influential, what does? Which ones? There’s like five, or three, or what—two? I never thought of that. I never thought of hiring a real rodeo guy to play the rodeo Ron Woodruff. And just like in every film—we’re actors, we’re directors. I’m not aiming for the real thing. I’m aiming for an experienced actor who wants to portray the thing. Perhaps the reality of capable transgender actors remains obscured because their accomplishments fail to be recognized. This dismissal of transgender women’s existence, being seen as not even capable of portraying themselves only underscores the argument as to why Laverne Cox should have been included. 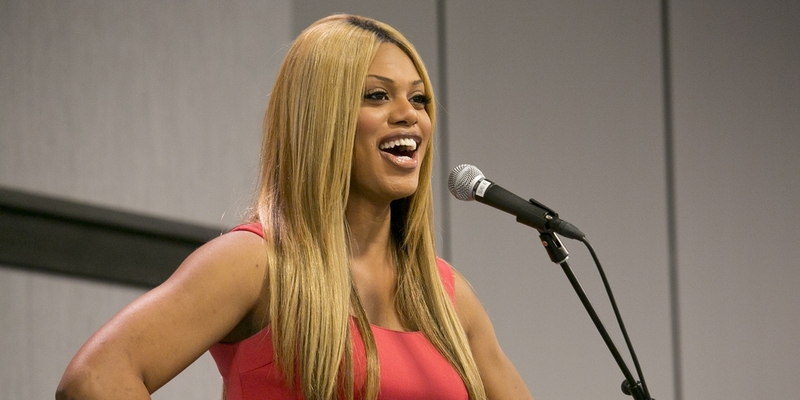 While inclusion on Time’s list can never discount the work that she has done, Laverne Cox’s absence on the list reflects our society’s failure to acknowledge the accomplishments and efforts of transgender women and transgender women of color in general. It reflects the manifold barriers that transgender individuals face in being accepted in the mainstream and acknowledged as equal. Furthermore, it sends a message: Work that makes a real difference for transgender people across the world does not matter as much as releasing catchy pop songs. That reality is precisely what makes Cox’s work so important. Whatever TIME’s reasoning for excluding Laverne Cox from their list, the consequences of reinforcing the systemic dismissal of transgender individuals remain, and it is for that reason that Laverne Cox—despite what the editors of TIME think—remains influential. Their readers recognize it. Why their editors don’t is anyone’s guess. Kat Haché is a transgender woman, artist, and writer from East Tennessee. She is passionate about transgender issues and is an ardent feminist. She enjoys retro video games, internet culture, ukulele and coffee in copious amounts. She tweets frequently at @papierhache. April 26, 2014 in News Stories.